Physician Group of Arizona, Inc.
PHOENIX (Oct. 3, 2016) – Physician Group of Arizona, Inc., an organization comprised of primary and specialty care physicians, is pleased to announce the addition of Leah Brown, M.D., to the Hedley Orthopaedic Institute, which provides exceptional orthopaedic care and sports medicine services throughout the Valley. Dr. Brown specializes in sports medicine and treatment of the knee, shoulder and elbow. She gained frontline experience working as a Battalion Surgeon and Orthopaedic Surgery Department Head on tours in Iraq and Afghanistan. She is the recipient of nine military honors and awards, including the Bronze Star, Navy Commendation Medal and others and today she proudly continues her military service in the U.S. Navy Reserves. 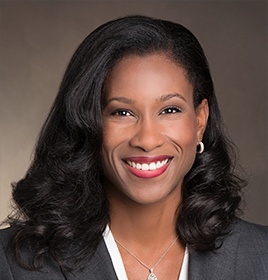 Her diverse background and expertise has led her to work with professional sports teams such serving as assistant team physician for the 2016 NFC Champions, the Carolina Panthers, and the athletic departments at University of North Carolina at Charlotte and Davidson College in Davidson, North Carolina. She also plans on working with the WNBA’s Phoenix Mercury as assistant team physician. Aside from working with athletes, it’s certainly no secret that Dr. Brown is an athlete herself. In fact, Dr. Brown knows firsthand the injuries athletes can sustain, since she is a 14-time NCAA All-American and a two-time NCAA National Gymnastics Champion at the University of Georgia. In 2016, she was inducted into the University of Georgia’s Circle of Honor for these accomplishments. Dr. Brown completed her residency in the Department of Orthopaedic Surgery at Naval Medical Center San Diego and her orthopaedic sports medicine fellowship at OrthoCarolina in Charlotte, North Carolina. For more information or to schedule an appointment, call 602-553-3113, or visit www.HedleyOrtho.com. Hedley Orthopaedic Institute, a Physician Group of Arizona, Inc., practice, provides exceptional orthopaedic care and sports medicine services. The professional health care team uses cutting-edge technology and advanced surgical techniques to provide high quality and comprehensive care for many types of orthopaedic injuries and disorders. For more information, hours and locations, visit www.HedleyOrtho.com. Find Hedley Orthopaedic Institute on Facebook.